Islamabad: The federal government has announced a total of 14 public holidays for 2019. The interior ministry issued a notification listing the dates and days of the public holidays for Kashmir Day, Pakistan Day, Labour Day, Eidul Fitr, Eidul Azha, Independence Day, Ashura, Eid Miladun Nabi and Quaid-e-Azam Day. Additionally, three bank holidays – January 1, May 7 and July 1 – were on the list for this year. Banks will remain closed on the three days for the public, but not for employees. “The holidays for Muslim festivals are subject to appearance of (the) moon for which a separate notification will be issued,” the notification reads. Meanwhile, 23 days of optional holidays have also been given. 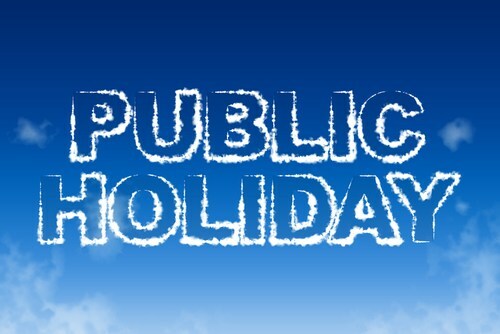 Government officers who wish to avail the optional holidays have to take prior permission from their concerned head office, the notification says, adding that Muslims can avail only one optional holiday while non-Muslims can take up to three optional holidays. Optional holidays include New Year Day, Basant Punchami, Shiv Ratri, Holi, Dulhandi, Shab-e-Mairaj, Good Friday, Holi, Easter, Nauroze and others.